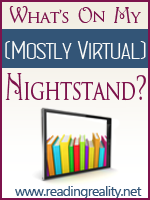 What’s on my (mostly virtual) nightstand? 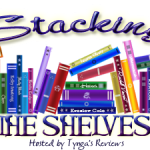 3-25-12 – Escape Reality, Read Fiction! The Virtual Nightstand is way for me to give a shout-out to books that are coming out in the next week or so that are on my TBR (To Be Reviewed, in this case) list. And, since I tend to do a lot of my reading in bed at midnight on my trusty iPad, when I finish a book I take a virtual look at my Virtual Nightstand to figure out what the heck I’m supposed to be reading next! And speaking of next…what’s on that Nightstand this week? There are two books I’ve been really looking forward to. Lessons After Dark by Isabel Cooper is a loose sequel to her breakout debut No Proper Lady. No Proper Lady was a romance that handled the time-travel, the romance and the magic right. I wasn’t the only reader who loved it (see review), this one was recognized with bunches of awards. I can’t wait to see if the magic continues. Zoë Archer’s Skies of Fire is the first book in her new Ether Chronicles. The author says it’s steampunk, which makes it doubly appealing. I’ve really enjoyed both her historicals and her SFR, so her steampunk should be good. I got this one from Edelweiss with very high hopes. I requested Legacy and Wrath by Denise Tompkins from Samhain. Wrath, the second book in The Niteclif Evolutions, is due out next week. This looked like an interesting suspense/paranormal romance series, and since I wanted book 2, I had to get them both. A Tryst with Trouble by Alyssa Everett is a Regency Romance, and is the author’s debut. I requested this because it looked like fun. A rake and a wallflower join forces to solve the murder of a footman, because each believes that the other plans to pin their murder on a hapless but not murderous member of their respective families. The comedy of errors leads to true love by strange pathways, of course! I was invited to get the galley of Grave Mercy by Robin LaFevers at NetGalley because I went to PLA. I think librarians or conference attendees got a widget. But I’m starting to hear some very good buzz about this YA historical romance that seems to mix a lot of deliciously nasty political intrigue with just the tiniest bit of magic. Sounds like it could be fantastic. And I have a mystery! No, really. Skeleton Picnic by Michael Norman looked good when I saw it on NetGalley. It reminded me a little of the Margaret Maron’s Deborah Knott series, only with a male protagonist. What I didn’t see (and didn’t check, my bad) was that it was the third J.D. Books mystery. On April 6, Reading Reality will be hosting a stop on the Isadora DayStar Blog Tour for Book & Trailer Showcase. This will be a review stop on the tour, so I’ll be reading Isadora DayStar by P.I. Barrington this week so I have my review ready. P.I. Barrington will be giving away 2 copies of her science fiction novel. Don’t forget the Brightarrow Burning Blog Tour stops at Reading Reality on March 29! And because I want to be a complete tease, April 4 is Reading Reality’s blogoversary and April 5 is my birthday. There will be a celebration. Here at Reading Reality. Is blogo-birthday the word? Whatever it’s called it will happen. Watch this space! There will be further announcements. Mondays come sooner. 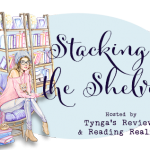 Ebook Review Central tomorrow! I am going to have to look up those Isobel Cooper books they seem like they would be a fantastic set of reads! I bought this one, the reviews were so good. And they were right!